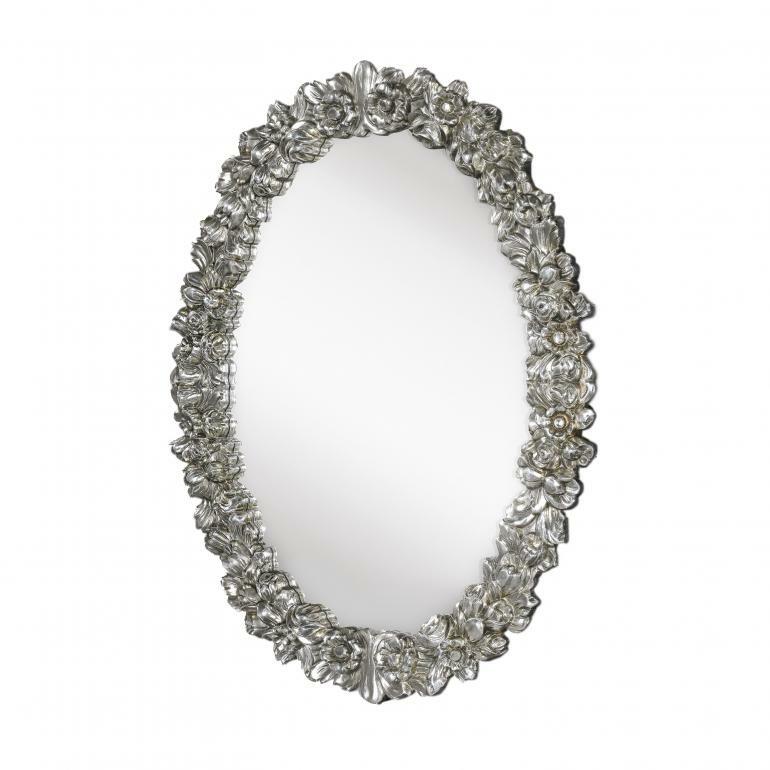 Original oval wall mirror characterised by an ornate floral decoration that covers the entire frame. The wooden structure guarantees solidity and duration in time; the floral decoration is carved in wood pulp. Given the originality of this item, a gold or silver leaf lacquer finish is particularly suitable.